Our friends at the Louisiana Department of Agriculture and Forestry (LDAF) have applications for ordering tree seedlings. Many pine and hardwood species are available, including: loblolly, slash, and containerized longleaf pines, baldcypress, 10 species of oaks, and over a dozen other species of hardwoods, including some fruit and nut trees. Specialty packets include an Arboretum packet ($40) with 50 assorted and labeled seedlings. This packet has 16 to 25 different species of trees and shrubs. Another packet is the Wildlife Packet for $25. It includes 25 assorted and labeled seedlings with a minimum of five species for wildlife habitat improvement. Those species in the Wildlife Packet are crabapple, white oak, sawtooth oak, red mulberry and willow oak. Applications are available at the Beauregard, LSU AgCenter office located at 203 West Third Street across from the Beauregard Parish School Board. Applications will be accepted beginning July 1, 2014. Some species of trees sell out quickly so place your order early to ensure delivery of your seedlings. Applications and payment must be mailed to the Louisiana Department of Agriculture and Forestry in Baton Rouge. Applications without full payment will be returned to sender. Completed applications and forms will NOT be accepted at the Beauregard Parish LSU AgCenter Office. Seedlings will be available December 15 through March 1. For more information, contact the Beauregard Parish Extension Office at (337) 463-7006 or the local Louisiana Office of Forestry in DeRidder at (337) 463-7801 or in Oberlin at (337) 639-4978. Is your Garden Soil Safe for Vegetable Gardening? Most of our gardens are safe and natural ecosystems, which grow wholesome, nutrient dense foods. We work and handle the soil, enjoy the rich earth aroma, and appreciate the vital processes of living organisms that recycle nutrients, filter water, and produce our crops. However, soils can be polluted just like water and air. Lead, arsenic, and cadmium are toxic heavy metals that are of concern. Once these heavy metals are introduced into soil, they persist a very long time. Knowing the history of the garden location can help to identify areas that are contaminated. Examples of contamination from the past include arsenic treated lumber residues, some fertilizers, old orchard sites where lead arsenate pesticides were used, a gun range, lead bearing paint residues, and even soil near roads in the time of leaded gasoline. Here are watermelons at the Master Gardener Demonstration Garden where George has various project. Photo by Jimmy Earl Cooley, MG’er. Most common fertilizers are not a significant source of heavy metals. Nitrogen and potassium fertilizers are generally free of toxic metal content, but phosphate fertilizers often contain cadmium depending on the mining site. Excess phosphorus typically is “tied-up” with insoluble compounds like calcium phosphate, therefore it lingers in the soil for years. 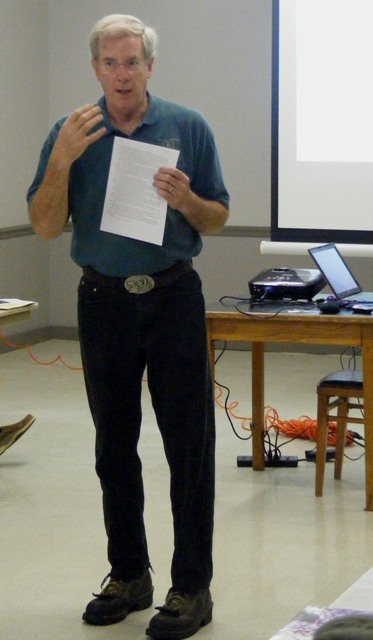 Use soil tests to determine if additional phosphate amendments are needed. Thus, avoiding unnecessary phosphorus fertilizer applications may prevent the undesirable cadmium additions, too. Micronutrient fertilizers have been and are still being produced from recycled toxic materials. “Ironite” has contained as much as 3600 ppm arsenic and 2900 ppm lead. No federal standards for heavy metals in fertilizers exist. Composition of fertilizers is in the control of the states. However, Washington State does require testing for 9 heavy metals with results on the web. Gardeners from other states use their postings to look up heavy metal concentrations in commercial fertilizers. What are the negative effects of heavy metals on human health? Children bear the greatest risk as the developing brain and IQ are especially vulnerable to lead. Even the lowest detectable quantities are considered toxic to children. Children’s behavior as “Rug Rats” with mouthing and crawling on floors, exposes them to greater quantities of dirt and dust. Chromosome damage, nerve damage, cancer, etc. are among other toxic effects of heavy metals on all of us. Vegetables are not all equal in their ability to uptake heavy metals. Some are concentrators and others are not. Leafy greens like lettuce, and root crops like carrots will have more than fruits like tomatoes. Some plants like water hyacinths are super concentrators that may have thousands of ppm of mercury from water sources. Therefore it should not be used as compost material for soil. How do you get your soil tested? 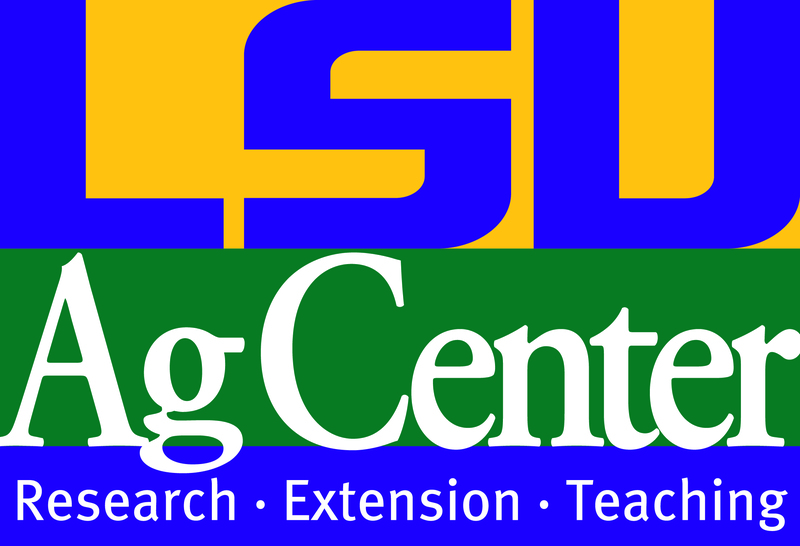 The LSU AgCenter Soil Lab can do an optional lab test for heavy metals for an additional $5. Another reliable lab is TP&S Lab (956-383-0739) which will cost around $100. Interpretation of results can be done with on-line research. Common sense guidelines – “Less is better”. Please note the first paragraph of this article, “Most gardens are safe-“. This article is for awareness of heavy metals. It is not meant to scare or deter in any manner from the joys of gardening. Gardeners love raised beds. And, raised beds are so easily built with concrete blocks which are thought of as the most inert and safest product on the market for gardening. Gee, I hate spoil your perceptions. Like the commercial food we consume, some is good and some is bad, just like concrete products used in gardening. Masonry block and concrete producers use coal combustion byproducts in two ways – fly ash as a cement replacement and bottom ash as a partial replacement for the sand and/or coarse aggregate. The fly ash composition varies from 5 to 60+ percent depending on the product. Adding fly ash prevents hydration of lime which increases its strength and makes concrete less porous, makes finishes smooth, and eases concrete pours. Seems like the ideal way to recycle hazardous waste that has historically created problems in water supplies. Hazardous waste. Yes, there are small amounts of heavy metals in concrete products. Typically the main composition of Class C fly ash contains 3.5 to 40% calcium oxide, 0.5 to 40% aluminum oxide, and 2.5 to 25% Magnesium oxide. However smaller percentages of strontium, chromium, nickel, lead, arsenic, cadmium, and other heavy metals are also present which cause it to be classified as hazardous waste by the EPA. The spherical particle size of coal fly ash varies from 5-120 microns which is similar to that of silty sand to silty clay. The good news is that this material is bonded, insoluble, and immobile in concrete. However if the concrete or blocks are pulverized in destruction or become soluble with acids, the surface area exposed is greatly increased and the heavy metals may become mobile. Example: You would not want to use pulverized concrete to “lime” a garden where it could be acted upon by microbes and organic acids. Concrete blocks are porous unless they are sealed for outside and inside use. Sealing with paint and other products prevents mineral (like hydrochloric acid, a concrete cleaner) and organic acids (from microbes and other life forms) from decomposing the locked in heavy metal chemical structure in concrete materials. Variation in solubility and composition of concrete heavy metals is all over the map, depending upon the type of coal burned to produce the fly ash, percent of fly ash used, sealants incorporated in the blocks, acids in the environment and other factors. If you are concerned about heavy metals in concrete materials, there is a reliable way to test for their presence. Grow hyper accumulator plants in the concrete structures of concern, and then have chemical analysis performed on specific plant parts. These plants can be found in Wikipedia and on other web sites. Example: Sunflower parts can be used for soil and water hyacinths can be used in aquatic environments. Another option is to separate the soil from the concrete structure. Line the container with plastic or polymer paint. Therefore decomposition products are not available for plant absorption. This is probably your best and cheapest option. Decomposition of concrete is usually slow; therefore your risk level is probably small in comparison with other heavy metal routes of entry into your body. Rice, chicken, and other foods have been in the news with carcinogenic arsenic concerns recently. Lead always comes up with old paints in buildings, and possibly lead shot cooked in wild game acid stews and gumbos. Lead as an example can cause DNA genetic damage, nerve damage, and child learning disorders. The science behind heavy metal poisoning is very well documented and proven. Awareness of toxins in our environment, not phobias, leads to healthy gardening and living. Author’s note: I recently had a conversation with fellow Master Gardener, Emily Shirley and after giving her the above information about concrete blocks, her question to me was “Bottom line – would you use concrete cinder blocks to build raised beds that you would be growing food to eat? If yes, what would you do to the blocks before filing the bed with soil to plant in?” My response to her – was to seal the blocks with concrete sealant and polymer paint before adding dirt. An extra layer of safety gives “Peace of Mind”. Have you ever raked leaves, gathered them, and then later develop red welts on your face, neck, arms and upper body? Note that chiggers normally invade from the feet upward to the waist area, but these super itch bugs like the upper body. Welcome to a new invasive species, the Oak Leaf Gall Mite, that is invading our range. This is an organism from Eurasia (Egypt, Germany, etc. ), but has also been reported in Chile, India, and Australia. Outbreaks occurred in 2004 in Texas, Oklahoma, Missouri and other states and again in 2007. The usual season for outbreaks is August to October when they rain down from trees. If you observe browned and crispy edges on oak leaves – beware because you may be within range of some nasty, itchy bites. If you are a curious person requiring evidence, get your magnifier out, then open the crispy leaf edge gall. There you will find dead midge larvae and itch mite females with large abdomens. Actually the mites would prefer Oak Leaf Midge Gall Larvae or cicada egg nests, its normal hosts that are required for reproduction. However when that food source is depleted, they began their downward fall journey where they can be picked up by wind and possibly be blown with leaves into other trees. When they land on humans, they crawl around for 4 to 5 hours, and then they dig in. A good practice is to shower within 4 hours after an expected exposure to these mites. Also be careful with infected clothing. If you don’t, itch mite welts form into pimple lesions after 12 hours. The neurotoxin bites can last up to 2 weeks with intensive itching. Over counter topical anti-itch creams may help along with oral anti-histamines. But do not scratch due to possibility of bacterial infections. Then you should have a medical visit skin infections. According to Kansas State Research and Extension, “There is no research-backed, proven ways to control them (Oak Leaf Gall Mites) yet”. Pyemotes herfsi, the Oak Leaf Gall Mite, is being investigated, and more of its life cycle and niche is being uncovered. Studies have shown that the mites can fall from trees in numbers of up to 370,000 per day (Penn State University). The typical host is the Oak Leaf Gall Midge that forms a leaf-marginal gall fold. Trees commonly infected are pin oaks and other ‘red oak’ group trees. Overwintering has been reported in oak leaves, in wood inside of wood-boring beetle larvae, and in grains where they feed on various stored-product pests. Therefore this fall beware of the ‘fall of mites’ on ‘under the old oak tree’ picnics and hunting stands in oaks. Load up on calamine lotion, if you do encounter these very itchy mites, but do not scratch!